Bella Systems - Custom Closets truly understands how to deliver a custom closet system with an unparalleled level of perfection. Our design experts offer years of experience and expertise in design bringing you the best in custom-built closets for your home. Our custom closet systems are crafted with the finest quality materials and hardware in the industry to ensure a lifetime of superior performance delivering a flawless design and function of each custom built unit. Our custom closets are designed based on your specifications. 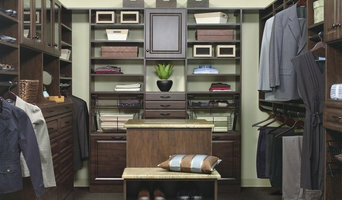 Bella Systems – Custom Closets are well-designed and stylish. As all of our solutions are custom designed, even the most difficult of spaces can be accommodated. Our design team and talented craftsmen work with you, your architect and/or contractor to ensure your closet and organizational needs are met on time and within your budget. With a large selection of finishes, accessories and hardware, you will find that Bella Systems – Custom Closets can help you build custom, professional storage solutions to fit your lifestyle needs. Our designers will evaluate your needs during a complimentary in home consultation and create a customized solution using our state of the art software. You will be able to see the space transform as we design it leaving you with immediate visual renderings of the project. Family owned and operated. Serving the Carolinas and the southeast for over 25 years. 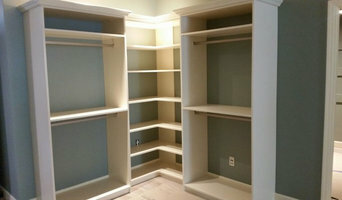 We have designed and installed thousands of custom closets; enriching the lives of our customers one space at a time. Our trained and certified designers offer free in home consultations to walk you through this exciting process. Whether you are looking for more usable space in your pantry, garage, linen closet, or if you’re ready for the custom-tailored closet you have always dreamed of, our staff will make the process simple and exciting. We provide detailed three-dimensional drawings and artistic renderings of our proposed solutions, making it comforting to visualize the end result and understand every detail before the project begins. Our installation crews are refreshingly professional and highly trained craftsmen with decades of carpentry experience who treat your home with care. Installations are a value-added service we provide and you are never charged extra for this service. We proudly offer a lifetime warranty on all of our installed products. Welcome to the wonderful world of professional organization. I've been doing organizing services for over 20 years and tailor my services to the clients needs. Whether it's down-sizing to get ready to move into a smaller home or going through personal items that are taking up space and you either know you are done with or need help with deciding what to keep or let go. Organizing is my passion and I can help with immediate moves or if there is ongoing maintenance needed. More Space Place Asheville is locally owned and operated, serving Western North Carolina and surrounding areas since 2002. At More Space Place, we are dedicated to upholding excellent customer service while presenting innovative and stylish storage solutions in order to maximize the potential of any space imaginable. A More Space Place custom project is not just a good investment for your home, it’s an investment in a better lifestyle. Our professional designers help you select the styles, sizes and colors in order to make one-of-a-kind furniture customized to fit your everyday needs. The Beginning The process begins with a visit to our showroom for a complimentary consultation. Our Interior Designers will guide you every step of the way to maximize the potential of any space. The Installation Our skilled installers are highly trained and meticulous craftsmen dedicated to treating your home as carefully as their own. This important step is often overlooked, but at More Space Place our attention to detail extends past the time of purchase through the life of our product. The Final Product An organized, efficient space reduces stress by increasing the time you have to focus on the things that matter most to you. We provide peace of mind by delivering your custom designs around the way you live. A More Space Place custom project is not just a good investment for your home – it’s an investment in a better lifestyle. Monkeybars of WNC & The Upstate is your garage storage expert. We specialize in garage shelving, garage flooring, garage cabinets, and overhead racks. We can help you get your garage organized. Asheville Kitchen and Closet Makeovers has 21 years of experience working in the Asheville and surrounding areas . We pride ourselves on delivering the best materials and manufacturing excellence. We are committed to saving our customers money and time by using existing cabinets, and replacing doors and hardware for a new kitchen look. We also offer custom closet systems/Garage Systems, In which we have 18 yrs . of experience in designing and manufacturing . Transforming your every day unorganized life's into having a space for everything in today's fast paced life stiles. ShelfGenie of Asheville puts everything within reach with custom pull out shelves and storage systems made to fit your home's existing cabinets and closets. Our full-extension pull out shelves give you more usable storage space, easier access and improved organization. Freedom from clutter equals a peace of mind. Tailored Spaces is here to help you make your home a place of refuge not a place you want to run from. Let us help you de-clutter, downsize design, and decorate your space to make it more functional for your needs. Together we will create an organized system tailored specifically to your way of life. We will reuse and repurpose your belongings as much as possible to help simplify your spaces affordably. Tailored Spaces sees the beauty in what already exists, let us help you see the beauty and potential within your own space! From maximizing storage space in a small closet with shelves and drawers to improving walk-in closets with built in furniture, we will work within your budgeted price range to deliver the quality that you want with a price that you can afford. Klutter Killers is the top Tennessee closet organizer in the tri cities area covering Johnson City, Kingsport, and Bristol. We specialize in custom closets, closet organizers, garage storage cabinets, home offices, laundry rooms, murphy beds, and much more. Call us today for a free, no-obligation consultation! Leasure Life introduces simple organization systems to clients and their spaces that facilitate healthy habits, positive change, and peace of mind. Owner Carly Leasure created Leasure Life out of her passion for organizing. We will take the time to determine your needs and goals, create a realistic plan that fits your lifestyle, and help you through the entire process. Leasure Life provides an all-inclusive service. This means we handle everything from researching, planning, and supply shopping to hauling out trash, donations, and handling any consignments. You can be as hands on or hands off as you want. 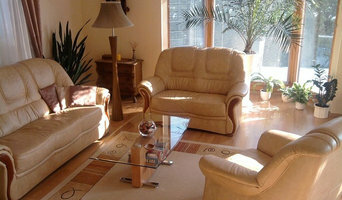 We look forward to working with you and your spaces so that you may live a life of leisure! If your home is in disarray or you need to get clutter under control, it may be time to seek help from a Weaverville, NC professional. Professional organizers in Weaverville can help you get almost any space back in shape, whether it’s your office, a master closet, the kids’ playroom or the entire house. Before hiring a professional organizer, consider exactly what you need. Have you just moved into a Weaverville, NC home and have no idea where to put everything? You may want to consider an organizer who specializes in room-by-room space planning or estate organization. Perhaps you’re faced with a tiny closet and an overflowing wardrobe. In that case find a professional who focuses on closets to help you get back on track. Also consider the types of objects that need organization. Are they items like books, family photos, files or collections? You’ll want a professional organizer who has experience designing custom systems with Weaverville, NC companies that will best fit your needs. Find a professional closet and home organizer on Houzz. Narrow your search in the Professionals section on Houzz to Weaverville, NC closets and home organization.